The herbs are looking great this time of year. They’re growing so well you can see a difference in these green plants every day. Just give them a little warmth and the hot sun of May and they’ll be making leaves like crazy. 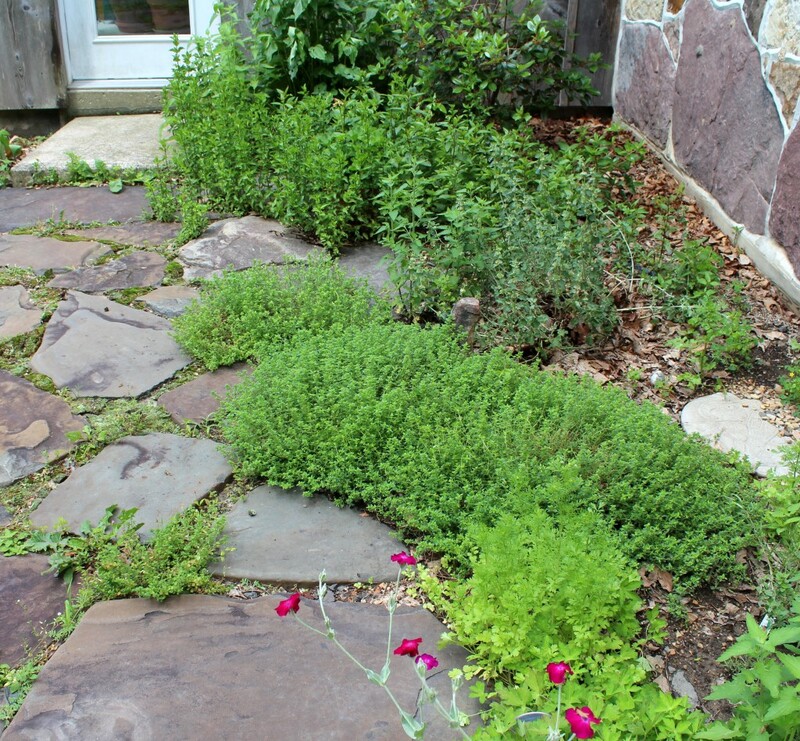 Fast-growing herbs from the top are spearmint, peppermint, horehound, thyme and cilantro. Spearmint and peppermint, which is a cocoa-mint variety, will be harvested and used to make tea. And potpourri, if you count the delicious smells while the leaves are brewing. Horehound might be used to make candy too — time will tell. Oregano and thyme are a couple of my go-to herbs for chicken dishes, breads and some veggies. There usually is some fresh growing near the kitchen, but there’s always a little bit dried in the cupboard just in case. Harvesting the herbs is too easy. Snip off a handful of herb, tie the stems together with a length of string or twine, and hang the bunch in the kitchen or pantry. Parsley that we have growing now is a second year plant and it’s in the garden. It has been harvested a couple of times already to make Parsley Potatoes. We’ll keep clipping off leaves as we’d like to, but I’ll be on the lookout for a replacement parsley plant that can take us into the fall. This one will probably peter out in the heat of the summer. Did you know that parsley is a biennial plant? I love the scents of the herbs while harvesting them, too. 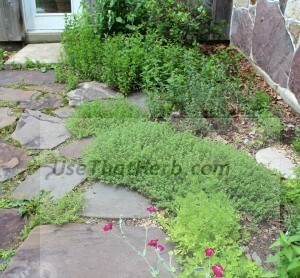 Just this morning I cut a small sampling of 8-9 herbs for a neighbor who wanted them for her Bible Study.